Home Technology Barriers to digital diplomacy: why are governments slow in adopting technology? While e-diplomacy is gaining momentum, there are certain factors that are hampering its implementation by governments, and by foreign ministries in particular. Uthayasankar Sivarajah and Vishanth Weerakkody examine these factors and argue that diplomats need to embrace digital diplomacy now if they are to reap its benefits. There is no doubt that technology has penetrated all aspects of government and has become an indispensable tool for public services to operate in an open and auditable way. With the advent of digital government, key public ministries have used new-emerging technology to reduce the complexity and cost of operations and improve citizens’ engagement in the democratic process. But the use of technology in foreign ministries has been largely focused on internal operations and questions remain as to whether diplomats are missing a trick by not using digital platforms to further international diplomacy. Encouragingly, in recent years the concept of e-diplomacy has slowly started to challenge and replace traditional methods of diplomacy to support the multiple functions of diplomats. As demonstrated recently in multiple political contexts (i.e. in the case of presidential elections in the US, the EU referendum in the UK) e-diplomacy could transform the way nations deal with each other in important political, bi-lateral trade and policy issues. For example, confrontational messages and praises by politicians via Twitter are a common trend, generating a worldwide audience because of social media’s global nature. Yet, our research shows a remarkable reluctance on the part of diplomats to fully engage in the use of digital tools, and diplomacy still continues to go on behind closed doors, hidden from citizens. This leaves several important questions unanswered, including: do the ways of diplomacy reflect society; does the current generation of diplomats understand how to use technology effectively; and are security concerns simply too great to overcome in this area? Recent events show that, while in the longer term, the answers to these questions do matter when it comes to the speed and level of e-diplomacy adoption, the nature and impact of regional and word politics can accelerate the process significantly. Our research at the US State Department, the UK’s Foreign and Commonwealth Office, and Qatar’s Ministry of Foreign Affairs showed that there is much appetite for using digital communication tools such as Twitter, Facebook, Video Messaging, and Blogs. Although staff and diplomats in foreign missions have been using email and social media for several years, these efforts have been very measured and sometimes constrained within virtual private networks due to fear of security and confidentiality breaches. As such, risk avoidance and resistance to change have impeded the widespread adoption of e-diplomacy and prevented foreign missions from keeping pace with the advancement of digital technologies compared to other government institutions and services such as health, education, and transport. Interviews with senior diplomats, strategists, operational level and IT staff in the three institutions identified 18 interconnected factors that challenged the adoption of digital tools. Using Interpretative Structural Modelling, a methodology that combines qualitative and quantitative techniques, we modelled these interrelated factors identifying the causal effect of each factor on others and how these relationships influence the adoption and diffusion of e-diplomacy tools. The results of this exercise show that a key motivator for governments was to engage with more stakeholders both within and outside their own countries. Key factors that hindered e-diplomacy were red tape and bureaucracy, lengthy decision-making processes and inherent sociocultural practices associated with the role of diplomacy. One senior US embassy staff in London noted: “If we want to implement an ICT project here in London, we have to seek permission from the Home Office…. bureaucracy can definitely slow down e-diplomacy implementation”. Based on these findings, we can conclude that digital diplomacy or e-diplomacy is slowly gaining momentum. Traditional diplomacy methods will remain, but the role of digital diplomacy is to complement existing methods and allow countries to contact and communicate with each other, share information, and also influence each other through using digital technology. Governments need to embrace digital diplomacy now if they are to reap its benefits and promote transparency, accountability, and increased interaction between countries. Note: the above draws on the authors’ article in Government Information Quarterly. 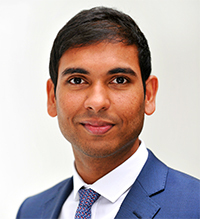 Uthayasankar Sivarajah is Reader in Technology Management and Circular Economy in the School of Management at the University of Bradford. 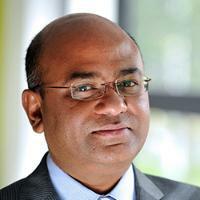 Vishanth Weerakkody is Professor in the School of Management at the University of Bradford.